I'm so thrilled with my newest bear Zachary. 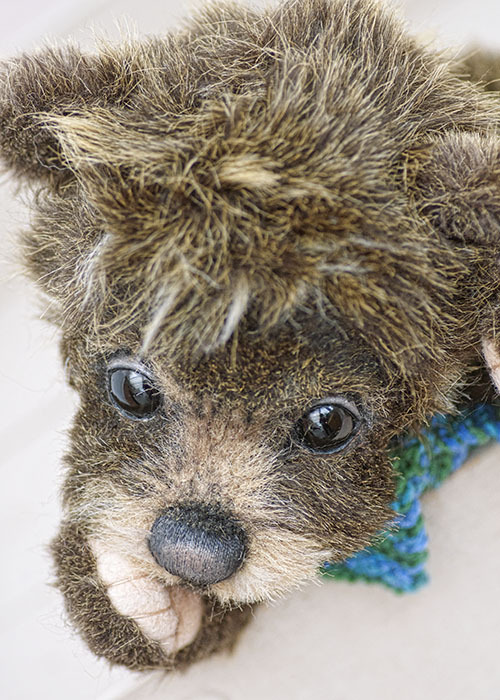 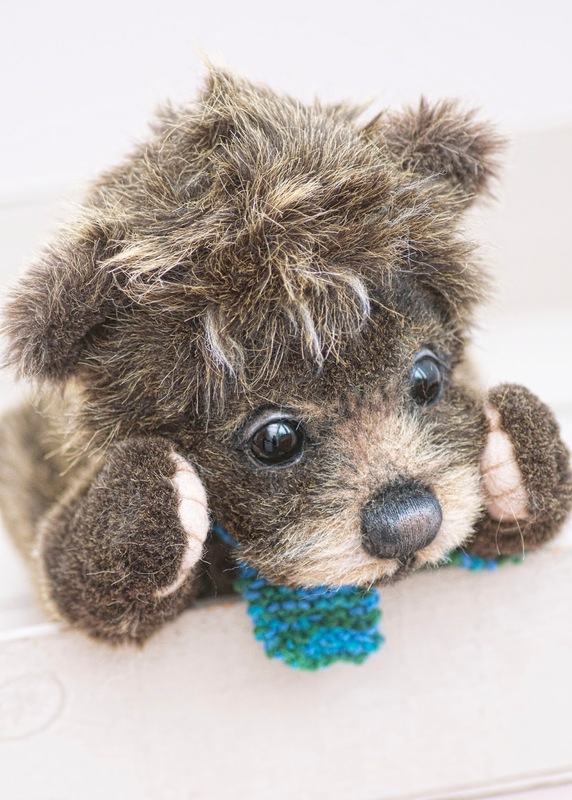 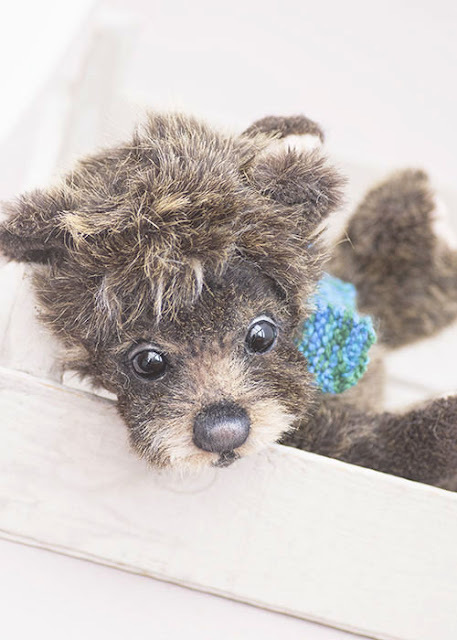 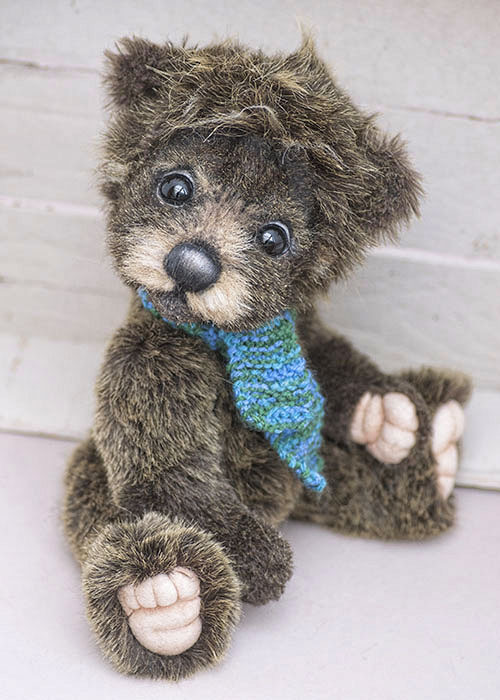 He's 13 inches tall and he is made from dark oak coloured Tissavel faux fur with gold tips. 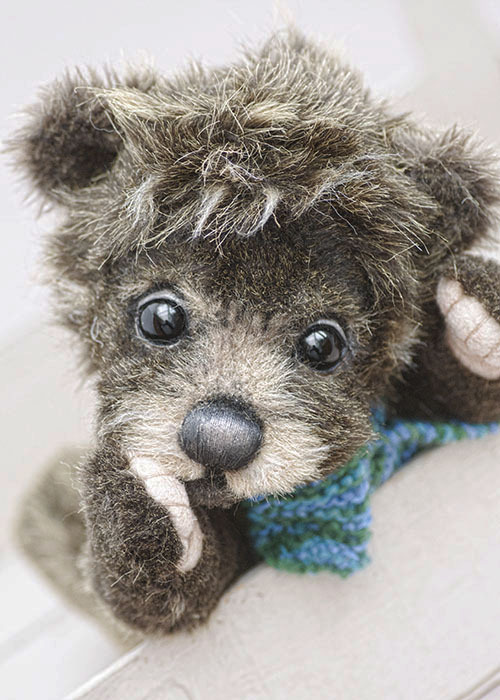 He has black glass eyes , sculpted eye detailing and a black stitched and shaded nose sealed with satin sheen. He has shaded sculpted beige wool felt paw pads. 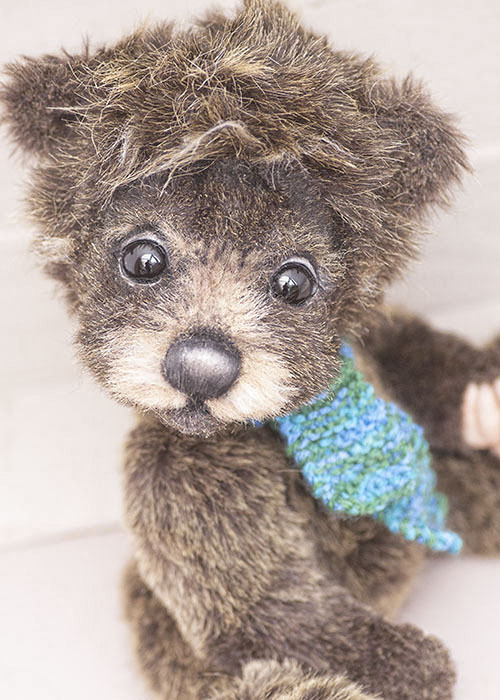 I gave him a little knitted scarf which completes his cute look. 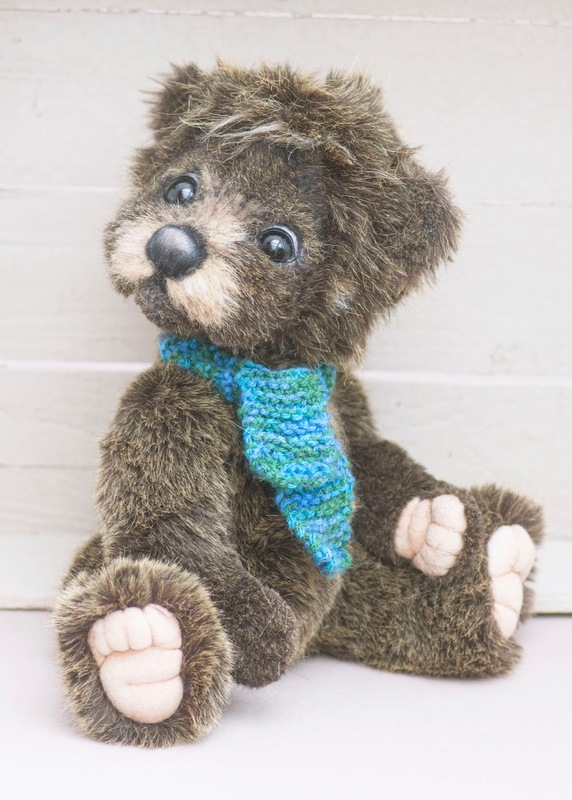 His adoption fee is £365 including UK postage. International postage is an extra £25.